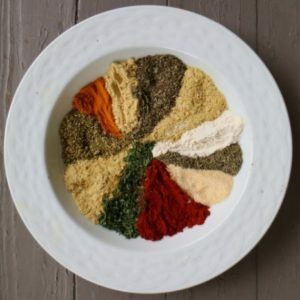 Following on from Selected WFPB Recipes #1 1 , we’ll look here at a few really useful sauces and spices that you can make in the certain knowledge that all the elements are what Dr Greger calls “green light” ingredients – that is, they are completely healthy and you can basically eat as much of them as you want, with the only side-effect being good health! Talking of Dr Greger, the following are taken from his book “The How Not To Die Cookbook” 2 , and since he is one of those guys you can really trust 100% to provide only the healthiest of recipes, I have not altered them at all. There’s something unique about this sort of flavour. Umami (/uˈmɑːmi/, from Japanese: うま味 – umai means ‘delicious’, and mi means ‘taste’) can be interpreted loosely as meaning “savoury taste“, and is one of the five basic tastes (with sweetness, sourness, bitterness, and saltiness). It’s the sort of flavour broths and cooked meats provide. Dr Greger’s umami sauce mimics this taste, but without the attendant toxic elements that cooked meats, etc bring along with them. It can be used in sautés, stir-fries etc to boost flavour without needing to inflict your bloodstream with all that sodium soy sauce contains. Makes around 1 ¼ cups / 280 g.
remove from heat, and stir in the miso mixture, blended lemon and rice vinegar. This is a really useful item to keep in the fridge and freezer to form the basis of so many meals. Of course, you could use ready-made vegetable broths, bouillon, stock cubes/pots , but they usually have lots of added salt. For instance, Knorr vegetable stock cubes 7 contain 42.% salt; Marigold Vegetable Bouillon 8 contains 44.6% salt; and even Bisto Vegetable Gravy Granules 9 contain 14.21% salt. Kallø Very Low Salt Organic Vegetable Stock Cubes 10 are one of the better options if you have to buy commercially-prepared vegetable stock, as they only contain 0.1% salt. If you come across a zero-added salt commercially available vegetable stock, please let me know. In one of Dr Greger’s videos 12 , he makes it clear that date sugar is the healthiest sweetener you can add to food. Date sugar is actually just dried, pulverised dates which can be used as a whole-food, granulated sugar. 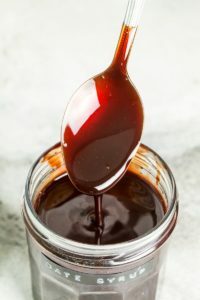 And by the way, he also points out that blackstrap molasses is a good choice for a healthy liquid sweetener, but warns that it does have a strong and sometimes overpowering flavour. The following date syrup recipe is his DIY date syrup that I think hits that sweet spot. 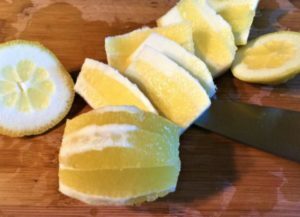 Some of the nutritional benefit of whole lemons (or limes, for that matter) is lost if you just use the juice and not the whole lemon (excluding the peel, of course). 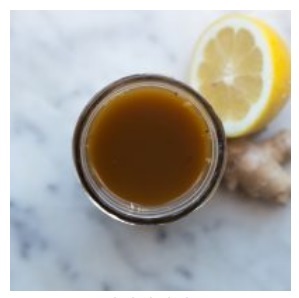 This simple method of adding that citrus zing is the most wholesome you’ll find. Make as much as you want by adding more lemons and/or limes. I use this one a lot in all sorts of meals – soups, stews, burgers, stir-fries, etc. It’s a great alternative to using salt to flavour dishes and, as with each of these recipes, all the ingredients are good for you. 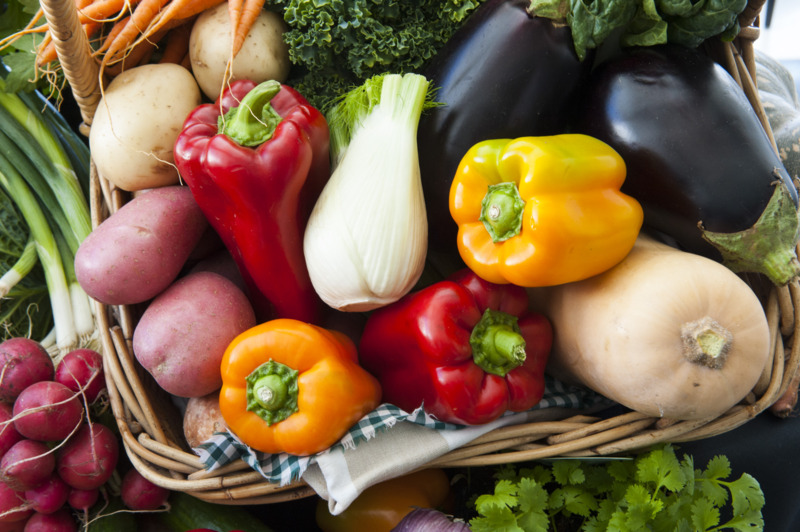 If you are someone who is concerned about eating the healthiest of foods, then you probably spend time trawling the internet looking for recipes. Many of the vegan and vegetarian recipes tend to include ingredients that are not optimally healthy (added salt, sugar and oils, for instance); however, Dr Greger’s cookbook ((The How Not To Die Cookbook, Dr Michael Greger.)) can be relied on to provide what you’re looking for. 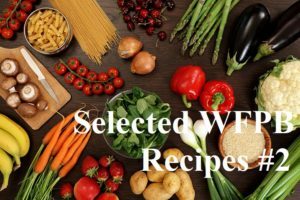 His cookbook also provides lots of additional nutrition information and is an essential addition to any serious WFPB cook’s bookshelf. I have a physical copy and a Kindle copy so that I can get to the recipes wherever I am without having to carry the book around with me.